Have you ever wanted to try Pilates? Wondered what exercise might be safe during pregnancy? 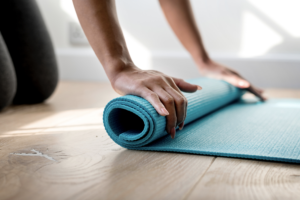 In part one of a two part series by Pilates instructor Jo Boyes, from Nidderdale Fitness, takes a look at the benefits of the exercises during pregnancy and what to expect from Pilates sessions. Pilates was founded Joseph Hubertus Pilates around 80 years ago. Pilates develops and looks after all of the smaller muscles in the body not just the large muscles. Exercises are controlled movements performed either sitting or lying on a mat. Emphasis is placed on the core muscles of the lower back, abdominal region, gluteal muscles (buttocks) and the hips. The core is commonly referred to as the “powerhouse” of the body. Pilates works on aligning the body correctly, building strength, flexibility, breathing and developing a strong core for coordination and balance. The Pilates exercises allow for modifications and variations making it suitable for almost anyone to use as each exercise has a layering system from beginner to advanced. Intensity is increased gradually over time as the instructor sees fit. Many changes occur in the body during pregnancy to make room for the foetus. This often places additional strain on the cardio vascular system and particularly the lower back and hip region. As mentioned earlier, Pilates works to strengthen the core and aligning the body correctly. When attending Pilates regularly and consistently your joints and muscles become stronger and therefore stay aligned which in turn means you are far less likely to suffer from short term or long term back problems during and after pregnancy. But it’s not just aligning and strengthening the body that is useful and beneficial, the muscles are elongated and stretched leaving you feeling pain free. A good instructor will give you tips on what you can do at home in between classes to help yourself too. Pilates increases stamina and with each exercise the breath is deep and controlled, helping to expand the lungs and increase lung capacity, as well as help with the control of breathing. As with other exercise, repetition and frequency increases skill levels and strength which will undoubtedly make your pregnancy easier and prepare you for the birth of your unborn child and the demands and joy that motherhood can bring. Everybody is different and each exercise will challenge people in different ways. Through Pilates we learn about our body’s strengths and weaknesses, which brings with it both patience and awareness. All Pilates exercises are performed in a flowing controlled way moving with control and flowing from one exercise smoothly into the next with minimal discomfort. The aim is to concentrate and block out all other thoughts focusing on each movement connecting the mind and body together. If you have never tried Pilates before, don’t worry, you can still begin Pilates and enjoy all of the benefits it has to offer at any time. You must check with your doctor first to check whether it is a safe exercise for you as each person has different experiences both good and bad during pregnancy. You do not have to attend a specific Prenatal Pilates class but don’t assume your Pilates teacher is experienced, qualified or knowledgeable in Prenatal exercise as not all are. You need to check that your teacher has an understanding of prenatal Pilates and exercise so that she/he can offer you the best advice and modify the exercises to suit you. It’s also a good idea to tell the instructor which trimester you are in and how many weeks/months pregnant you are. They will give you a health questionnaire sheet to complete so they are aware of any specific health problems or joint problems you may be suffering from. 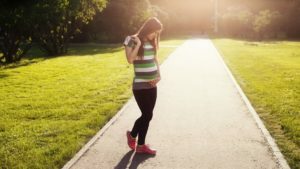 As many changes take place during your pregnancy it’s a good idea to keep communicating with your teacher along the way every few weeks and inform them of any changes. A good teacher should check in with you at the start and at the end of each session as well as during the class to ensure you are performing the exercises correctly and that you are feeling well. Look out for Jo’s next blog on Post Natal Pilates coming soon!